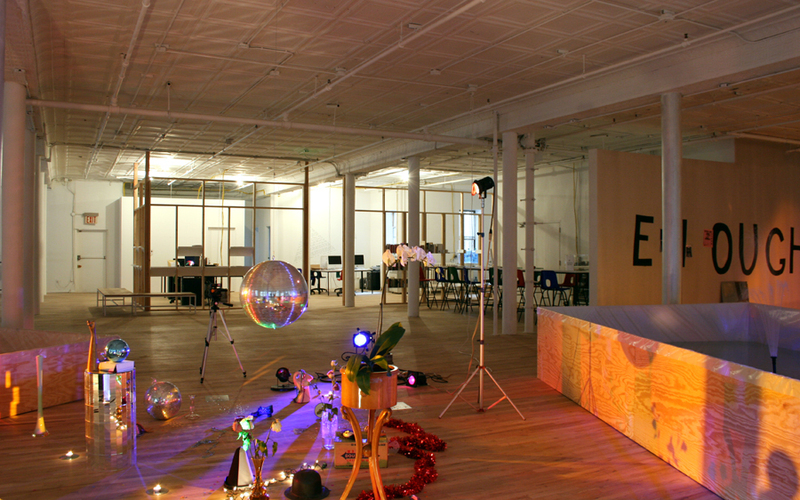 a non-profit exhibition space that supports artistic experimentation and dialog in contemporary culture (in collaboration with ifau & jesko fezer). 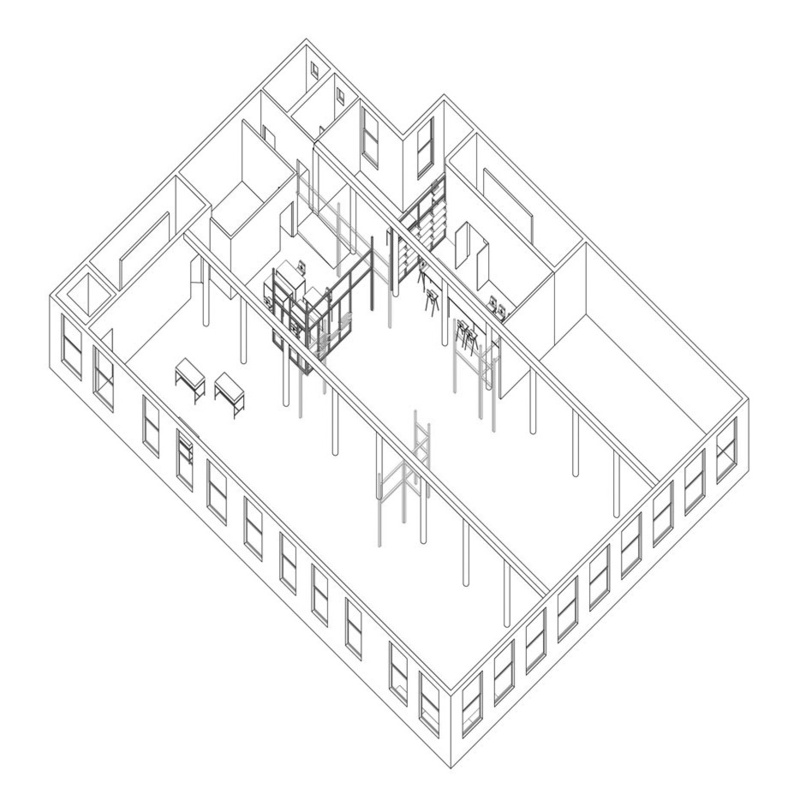 1 – axonometric of artists space. the frame work is incomplete - a fragment of a more extensive system of elemental coordinates that break up the neutral space of the open loft typology. 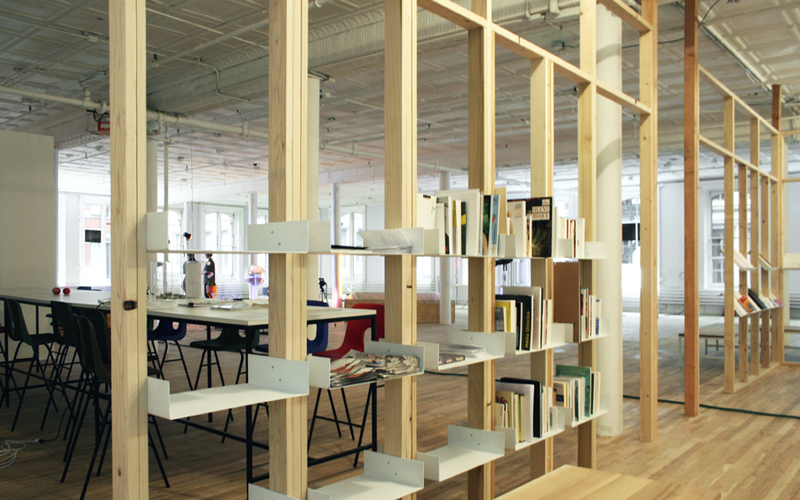 2 – bookshelves mounted between the wood studs create a bookstore and social bar on one side of the partition and a more private archive on the other side of artists space. 3 – to conceive of and use architecture are an interconnected process. 5 – rules for a game define boundaries within which to play but the rules do not provide a full definition of what is possible. the rules may allow for potential misinterpretation or misuse. 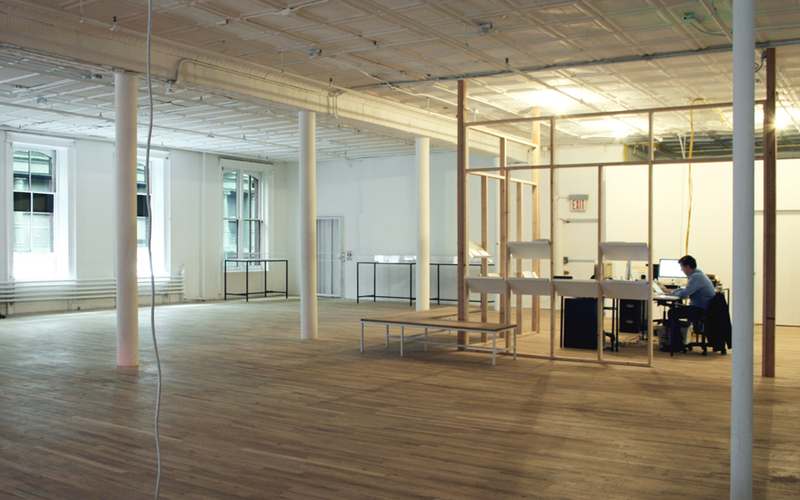 6 – the space of work overlaps with the space of display. 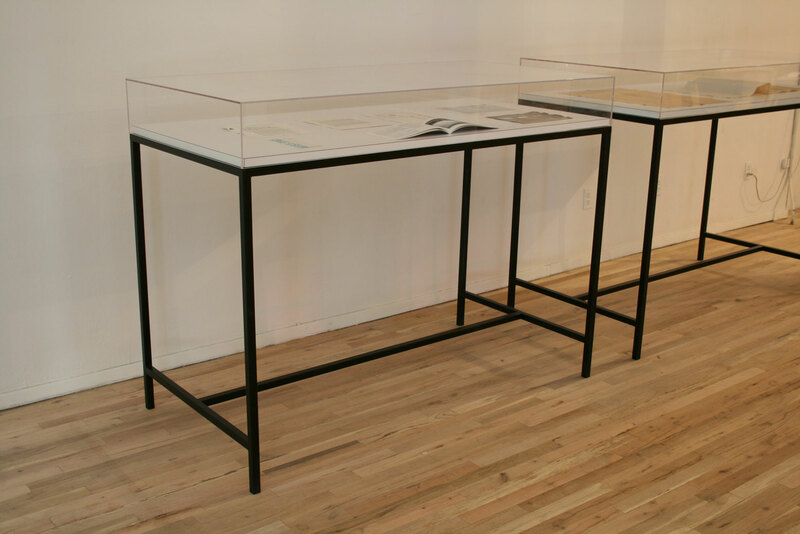 7 – custom designed tables and vitrines identify function in the otherwise open spaces. 8 – “enough tiranny recalled, 1972–2009” by marc camille chaimowicz. 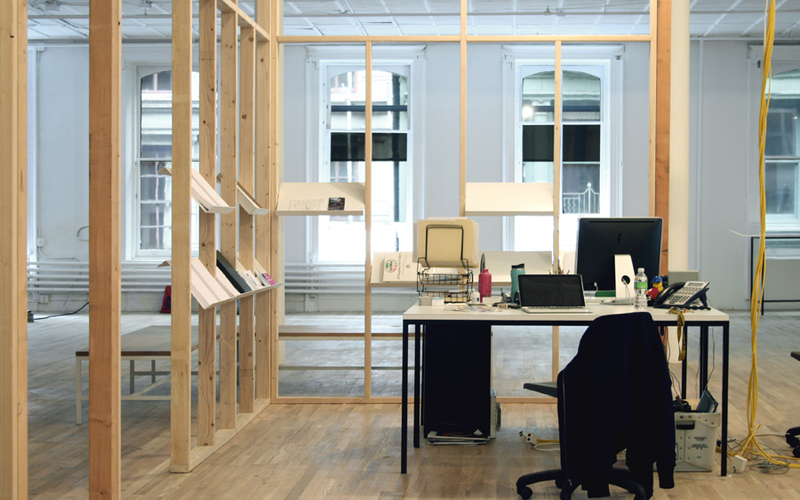 with the arrival of a new executive director artists space was looking to re-invent itself as a way of exploring the institutional history and creating a new relationship between display, work and public encounter. 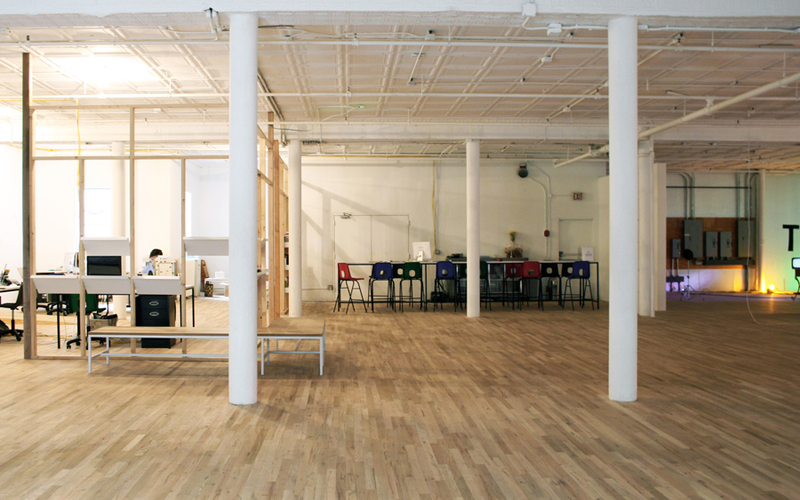 the design process was an inclusive exchange between the director, the staff and the collective design team. a limited budget and tight project schedule informed the construction techniques and material systems used in the project. the result was a complete erasure of the existing layout replacing it with a simple plan for the new environment, based on flexibility and openness. incorporating the notion of time into the design the plan was kept open-ended to be completed in phases. a series of fixed coordinates divide the space into nine rooms. partitions between the coordinates with variations of connectivity provide specific access relations and situations within the open space relating to possibly changing functions. in the current stage four of the rooms are legible (the office, the entrance space, the bar/bookshop, the study room). 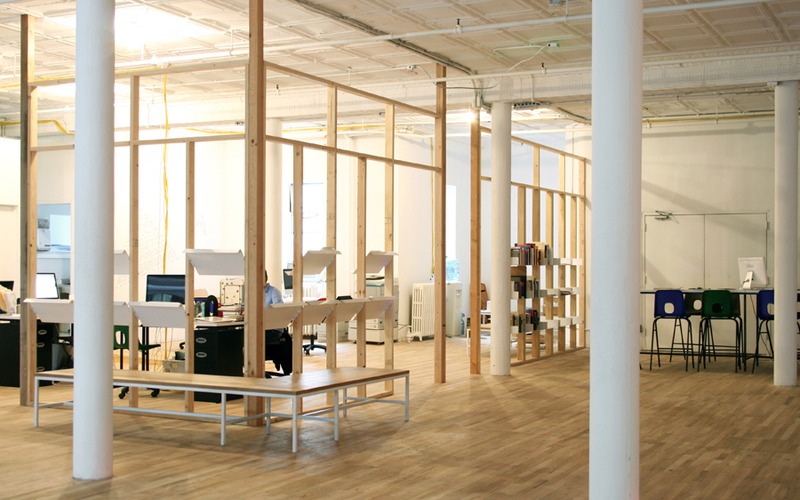 the everyday routines and social interactions of the workplace overlap with the space of display. an open frame work of wood studs defines the negotiated boundary between staff workspaces and the public areas of the gallery. the floor is left unfinished, and a long bench occupies the corner window area where the director’s office once stood.